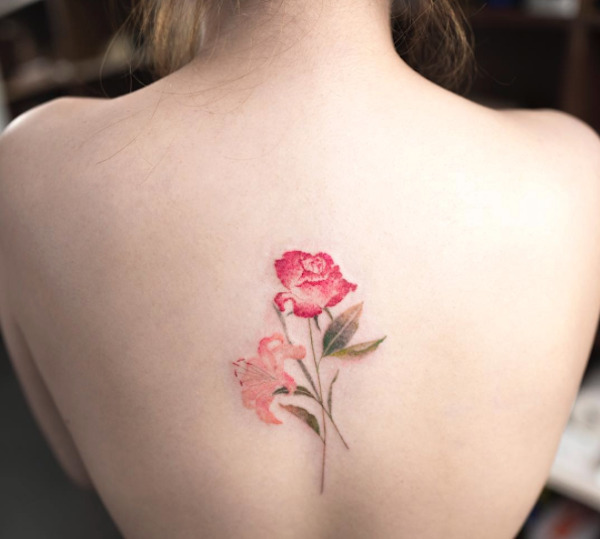 Based in Hongdam, South Korea, tattoo artist Ilwolhongdam creates minimalistic tattoos that come with a touch of nature and colors. Featuring flowers such as roses and hibiscus, the intricate designs are inked in a watercolor style that is vibrant and unique. Scroll down to view some the artist’s creative designs, and find similar tattoo art here.